The British Virgin Islands is celebrating 30 years as a well-regulated global financial jurisdiction, due to the enactment of the International Business Companies (IBC) Act, 1984 which was passed thirty years ago. 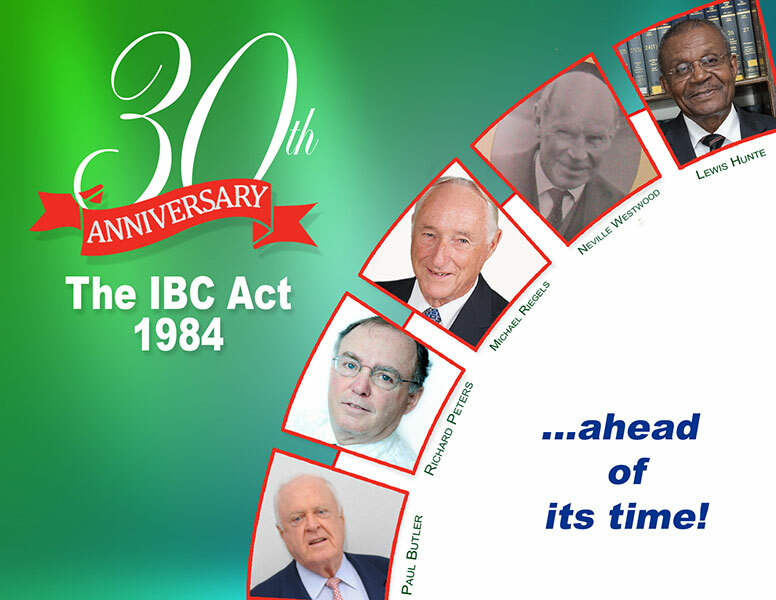 In honour of this milestone, the BVI International Finance Centre (BVI IFC), is hosting a series of commemorative events from September 17 to 25, under the theme “The IBC Act 1984…Ahead of Its Time”. These events will include an IBC Act commemorative exhibit, a GIS special feature television programme, and radio public service announcements. The events are designed to educate the public about the history of the financial services industry, the IBC Act and its importance to the Territory. The IBC Act, 1984 was drafted by former BVI Attorney General Lewis Hunte; Paul Butler of US-based Shearman and Sterling law firm; along with Richard Peters, Michael Riegels and Neville Westwood of Harney, Westwood and Riegels. The BVI International Finance Centre is solely responsible for marketing and promoting the BVI financial services which are carried out by a professional pool of individuals both locally and internationally. For more information on Government initiatives follow us on Facebook, Twitter and YouTube at BVI Government.